President Donald Trump is mulling removing the security clearances of several former intelligence chiefs and others – a move that comes in the wake of criticism of his meeting with Russian President Vladimir Putin. Those on the list include John Brennan, a former director of the Central Intelligence Agency, James Comey, a former FBI director who Trump fired last year, Jim Clapper, the former Director of National Intelligence, Michael Hayden, a former Director of the National Security Agency, Susan Rice, a National Security Advisor, and Andrew McCabe, the former deputy director of the FBI, press secretary Sarah Sanders confirmed on Monday. CIA Director John Brennan pauses during a news conference at CIA headquarters in Langley, Va., Dec. 11, 2014. 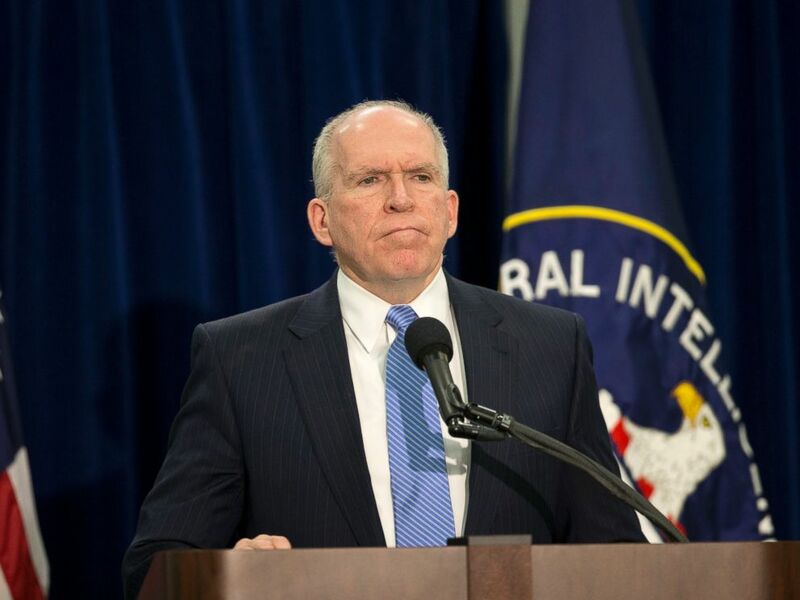 Brennan was highly critical of Trump's widely-panned comments during the press conference in which he seemed to cast doubt on the U.S. intelligence community's conclusion that Russia meddled in the 2016 election. When asked if it is the president's position that any former Obama administration official that holds clearance and makes political statements about the president should have their clearance revoked, Sanders said: "As of now we're exploring the mechanism on those specific names." And when asked by ABC News' Terry Moran if it's presidential that the president is potentially seeking to punish those that he doesn't like Sanders said: "The president is exploring these mechanisms to remove security clearance because they've politicized and in some cases monetized their public service and their security clearances. And making baseless accusations of improper relationship with Russia is inappropriate." "It's kind of a ... petty way of retribution," Clapper told CNN shortly after the announcement adding that he thought the move was in response to speaking out against Trump. McCabe's spokeswoman criticized the move and the motives. Earlier in the day, Sen. Rand Paul, R-Ky., had tweeted that he would recommend that Brennan's security clearance be revoked asking "Is John Brennan monetizing his security clearance? Is John Brennan making millions of dollars divulging secrets to the mainstream media with his attacks on @realDonaldTrump ?"